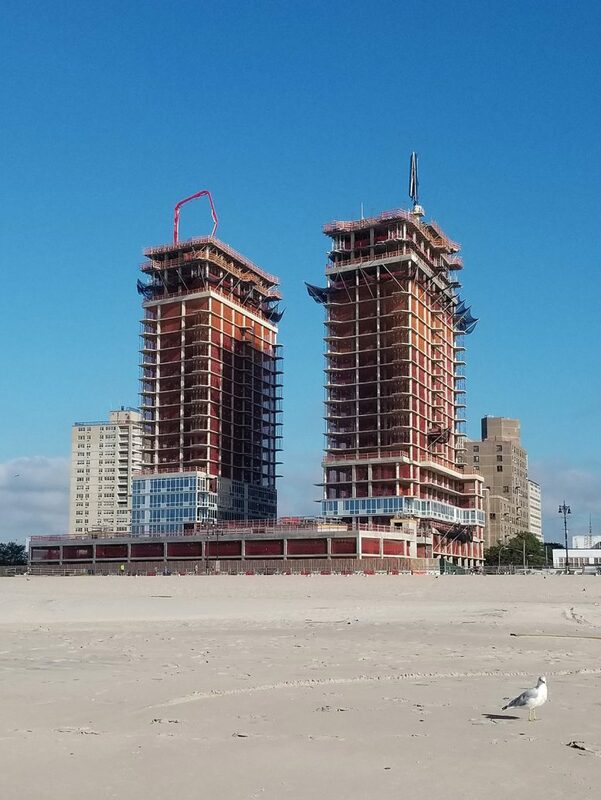 The first two buildings of Coney Island’s “Ocean Dreams” development appear to have topped-out as glass façades begin to rise on the beachfront structures. The highly anticipated project is expected to strengthen the city’s redevelopment initiatives across the neighborhood. 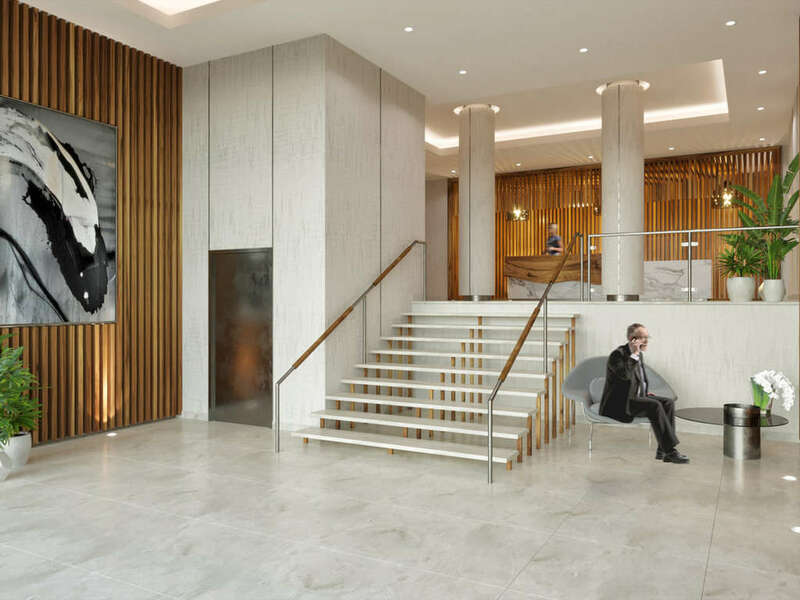 Red Apple Group’s John Catsimatidis is responsible for the new development and worked with Hill West Architects to complete the project. When fully opened, Ocean Dreams will occupy two primary lots. The first phase, located at 3514 Surf Avenue, is comprised of two residential towers set above a shared podium. The buildings stand 21-stories tall and will contain 425 market-rate, rental units. 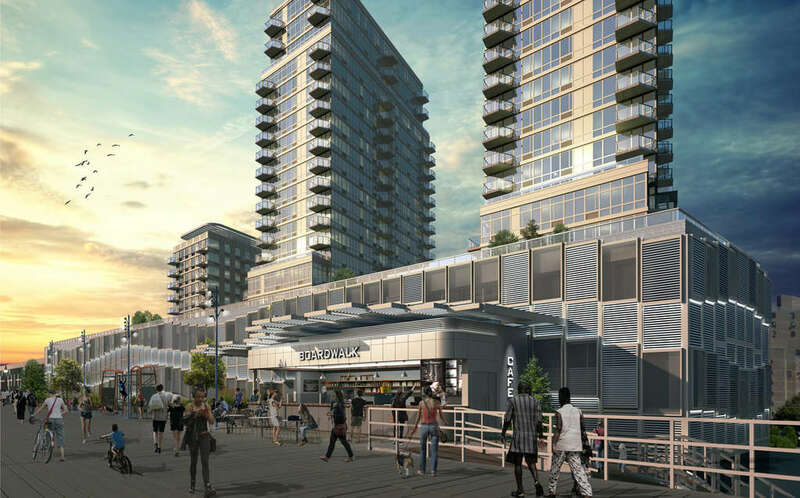 The podium’s façade is comprised of undulating metal grates that are arranged in a wave-like pattern, and will include frontage on Surf Avenue to the North and the Coney Island Beach boardwalk to the South. The lower levels may also contain a new restaurant and a pharmaceutical retailer. 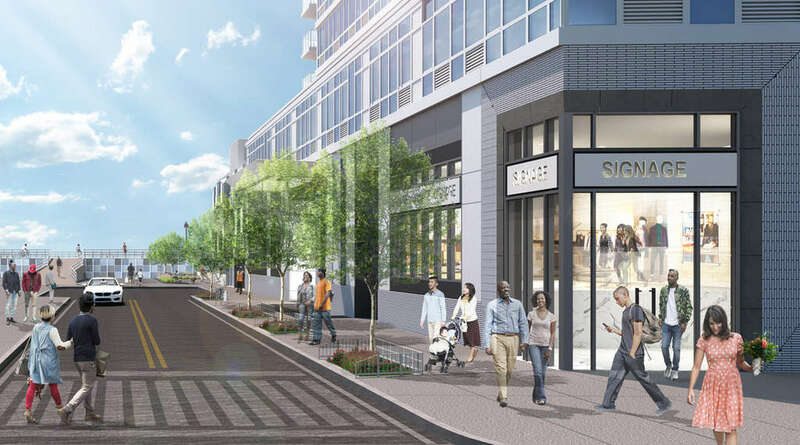 The amenity package is expected to include valet parking in addition to a three-story garage, a pool, multiple rooftop terraces, tenant lounges, storage area for both bicycles and packages, a business center, and a workout room. The second phase includes a third residential tower that will occupy an adjacent lot at 3616 Surf Avenue. This component will top out at 11 stories and include 79 residential units, tw stories of parking area, and unspecified amenities. 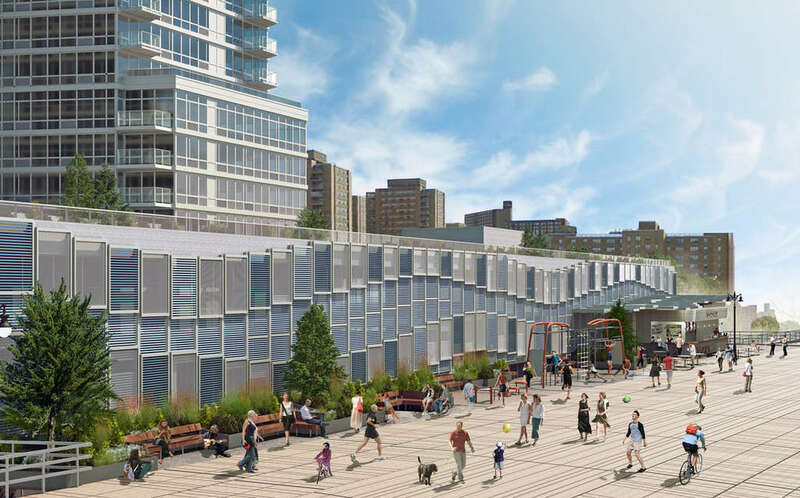 9 Comments on "Facade Begins to Rise at Coney Island’s “Ocean Dreams” Development"
Please pardon me for using your space: Real construction but. No! a bird goes away – she steals view very well from frame. Reminds me of a beach front hotel. Very nice. Great work, let’s gentrify this place!! Trader Joe’s or Wholefoods would be amazing, but that’s just wishful thinking for now. What an amazing building, so much opportunity for new shops, luxury housing. Gentrification is here 🙂 All we need is wholefood! I see the residential is for renters. Will there be apartments to buy? Will there be affordable housing units? If so how do you get on the list?